The mission of the West Side Forward organization of Bethel New Life is to bring life-changing economic opportunities to Chicago’s West Side residents, with the intent of significantly increasing the collective standard of living in these communities. West Side Forward, evolving from Bethel New Life, is committed to economically transforming the West Side of Chicago. The core service lines to realize this mission are business development, workforce development, and influencing economic investment. WSF works in concert with such partners as the Technology & Manufacturing Association, Austin Coming Together, the City of Chicago, and others to encourage West Side industrial development investments focused on the high growth industries of Transportation Distribution and Logistics and Advanced Manufacturing. Initiatives to influence such investments include the strength of the local workforce, the economic attractiveness of available real estate, policies put in place by the City to assure safety and security, and financial incentives offered by the City.WSF’s targeted geographic area is Austin, East and West Garfield Park, Humboldt Park and North Lawndale, with a combined 2015 population of 226,328 residents. More than 90% of the total population in these communities is African American. Several barriers play into why there is an estimated 20% unemployment and underemployment rate on Chicago's West Side. These are among the most disadvantaged communities in the City, and possess high concentrations of poverty. The median hardship index rating for these community areas is 85 out of a possible 100. Educational opportunities are limited, schools are poor, and educational attainment lags well behind that of the rest of the City. 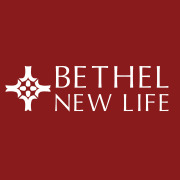 Would you recommend Bethel New Life?